I don’t usually get a sense of connection with the bands I review but today is a very special moment. 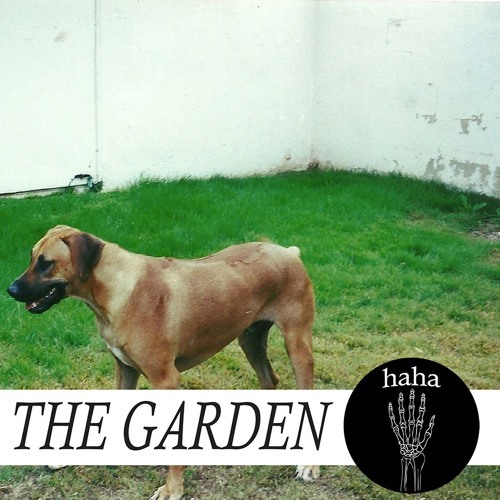 The Garden are a duo from California who like to dabble in neo-punk and just like me they too can create beautiful music in a minute and a half. But unlike them, I usually receive the haha’s rather than hand them out as titles. As mentioned The Garden like to dabble in the sounds of neo-punk which either means everything we’re hearing on haha or they like to dress punks up in futuristic clothing. I’m guessing it’s the former because haha is a track that brings forth punchy guitar riffs that are spread just a little too thin to allow some atmosphere and basslines to seep into the gaps. The lyrics really want you to believe that The Garden are “so mysterious” which could have become a little overworked had this song been longer but it does fit nicely inside the tight timeframe the duo have given it, and it does allow for some additional sounds to contribute some outer-earth experiences to the instrumental too. All in all haha is a decent track that offers a tiny smidge of what we should expect from The Garden’s upcoming debut album (also called haha) on October 9th. I’m personally hoping the album features tracks that are a little bit longer and offer a lot more depth than haha brought. If The Garden could reveal some extra guitar riffs with some added oomph and perhaps dive deeper into the mysterious route by adding more to their lyrics then it could become a pretty good record. Here’s hoping. Check out the video to haha below, and for more music reviews, free downloads and interviews check out Exploding Head Syndrome on Facebook and Twitter.